Cupcake stand- Tiered. Bronze metal. Five square tiers- ( 6″, 10″, 14″, 18″ and 22″). 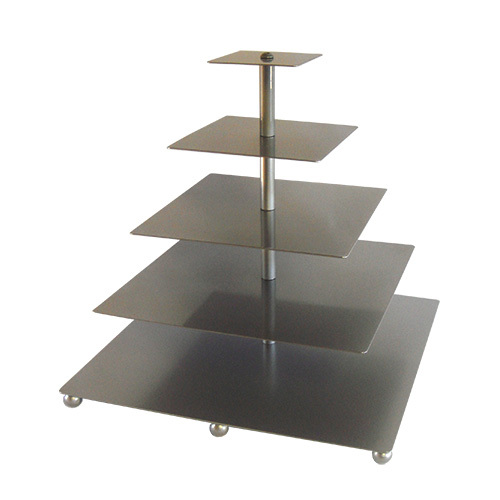 This stand adds height and interest to every buffet presentation. 22″ Tall - 35 lbs.